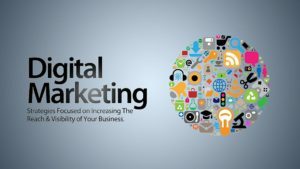 Where is digital marketing headed and how to stay updated with the latest trends? Marketing and sales cannot really be viewed separately anymore. It has been quite a few years since marketing and sales have been entwined with each other. They have been working hand-in-hand to create new prospects and manage new online campaigns from a centralized platform. Marketing is evolving, and it is no secret. It is living, breathing and adapting to the new social media trends and mobile applications. Local search result optimizations and real-time measurement of ROI are taking over the marketing world. 2017 is going to be the year of digital and social marketing where the ultimate emphasis will be laid on sales and conversion. Salesforce Github has been used for years by leading websites and companies to create a marketing platform that can coordinate manage and organize their sales efforts. Companies working with Github can enjoy high quality leads in their pipelines. From custom landing pages to high quality, dynamic subscription forms – marketing techniques of the future will be completely mobile compatible. Different designs of personalized emails will revolutionize the way we see marketing today. Email marketing has been carving its own niche since the end of 2015 and by the end of 2017 we expect email marketing strategies to be completely automated, personalized and responsive. The targeting system will be more evolved by virtue of better tracking and monitoring services. Take for example, the new social media monitoring tools that can track the mention of your brand name on any social media network. You can use a milieu of tools to “listen in” on multiple conversations on Facebook, Instagram, Twitter and Flickr, and take marketing decisions based on mass preferences and inclinations. Buyer personas is something new that is ruling the digital marketing techniques, and it is intrinsically related to social media interactions and buyer responses. Every company should have a platform that supports the A/B testing to achieve the best possible ROI with optimized marketing services. Neil Patel confirms that blogging is going to boom this season with visual elements that can directly interact with Google’s search engine spiders. It has been quite a challenge to calculate ROI on all leading CMS platforms till date. Well, not anymore. Now with the new integrated systems it is possible for you to calculate your ROI and analyse the glitches in your sales funnel. Very soon it will be possible for you to calculate your cost per lead without looking twice at your marketing and sales strategies. All in all, 2017 is the year for tech-savvy marketers who want to make their mark with innovation and novel strategies in the dotcom world. PreviousHow to use Instagram for a successful press release?